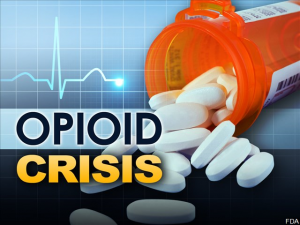 ROANOKE, Va. (AP) _ Five cities and counties in southwest Virginia have filed lawsuits against drugmakers seeking compensation for the public-health fallout from the opioid-addiction crisis. The cities of Bristol, Roanoke, and Salem, along with Roanoke and Alleghany counties, are the most recent Virginia localities to file suit. Nearly 2,000 local governments across the country have filed similar lawsuits. The lawsuits filed Wednesday come a day after OxyContin manufacturer Purdue Pharma and the company’s controlling family agreed to pay $270 million to Oklahoma to settle allegations they helped create the opioid crisis with their aggressive marketing of the drug. A Purdue spokeswoman did not immediately return an email seeking comment on the Virginia lawsuits Wednesday. Federal statistics show that opioids were a factor in a record 48,000 deaths across the U.S. in 2017.